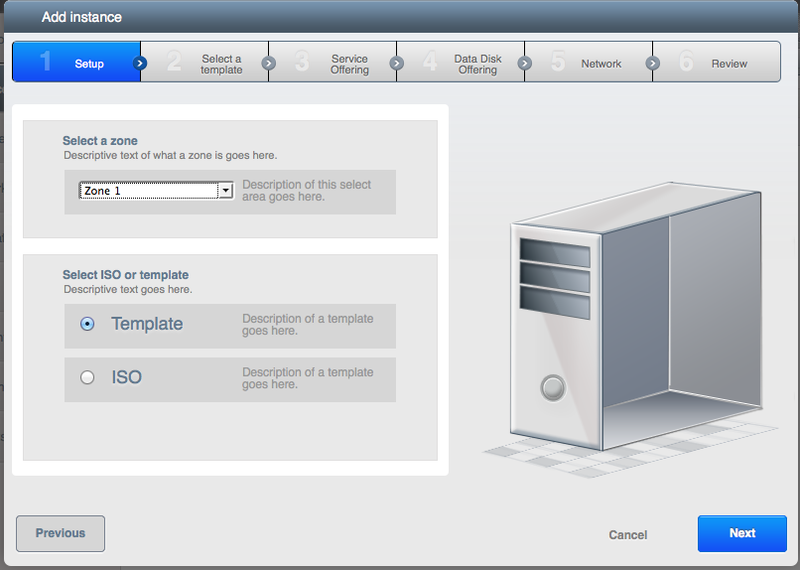 The login screen is where it all starts..
After logging in, users are presented with a Dashboard. Here is a nice and clear overview of what VM’s are running and stopped. As you can see, there is a nice menu at the right. 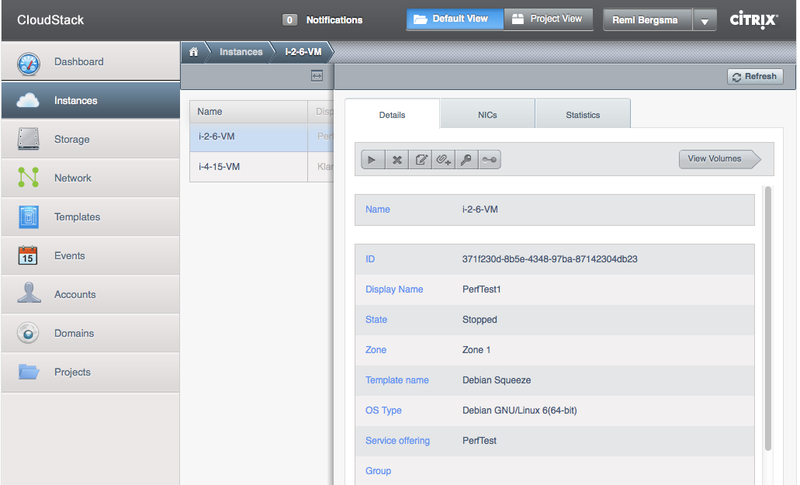 New VM’s can be added to CloudStack using a Wizard. The first step is to choose between a template (which is a pre-made server installation) or an ISO (which is more like booting an installation CD). Here we choose Template. All available templates are presented to the user. We can choose between CentOS and Debian. Of course, any OS can be added as template. We select Debian here. Now that we have selected a template, CloudStack wants to know what CPU and RAM the new VM should have. The user selects one of the pre-set options. It is also possible to present a price on this page, so the user knows what he will be billed for. As an optional step, an additional data-disk can be added. This disk can later be detached from this VM, and attached to another. This way data can travel between VM’s. 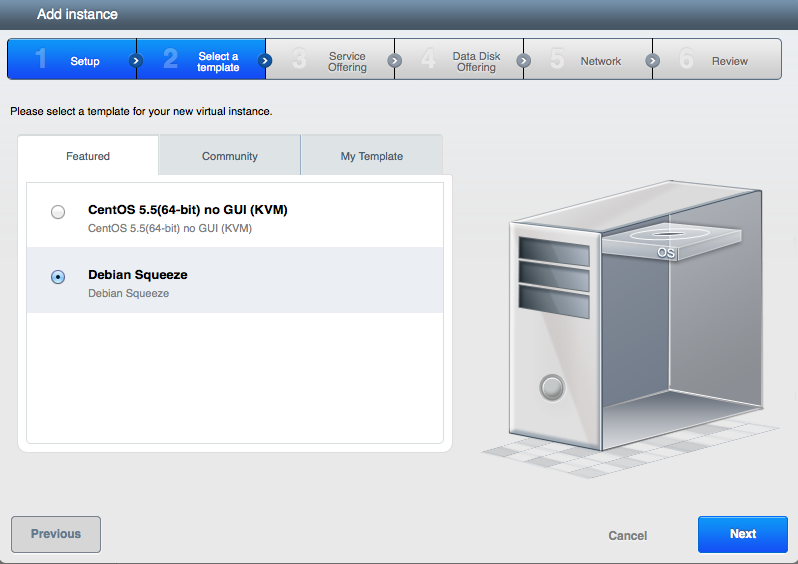 The final step is to give this VM a name and the Launch it! CloudStack will keep you posted about the status. 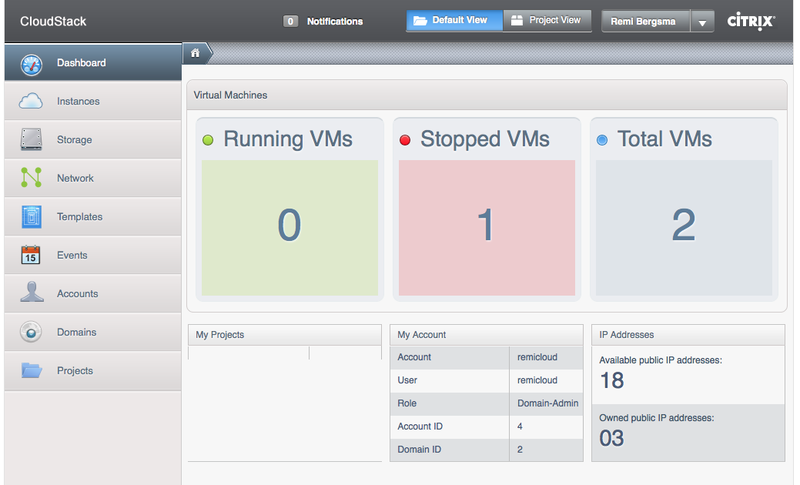 Soon you will receive a message on screen noting the VM is running. 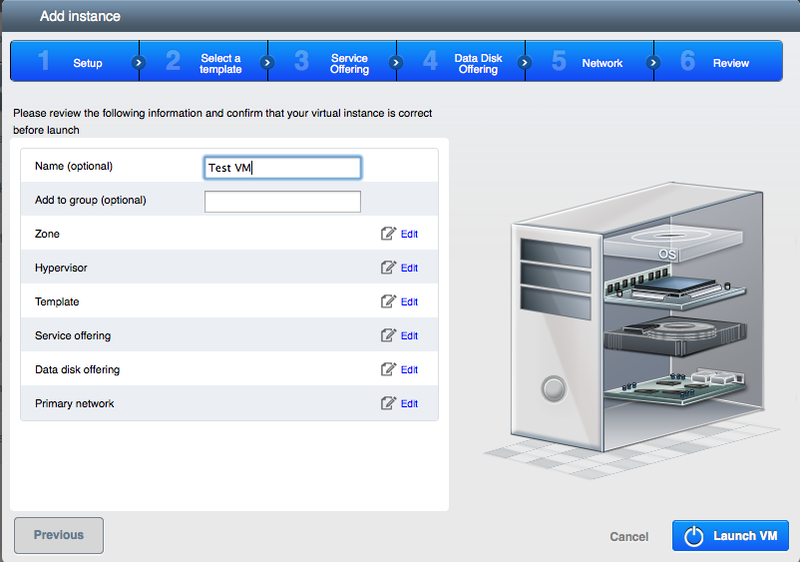 In the menu you select Instances (that is what VM’s are called). 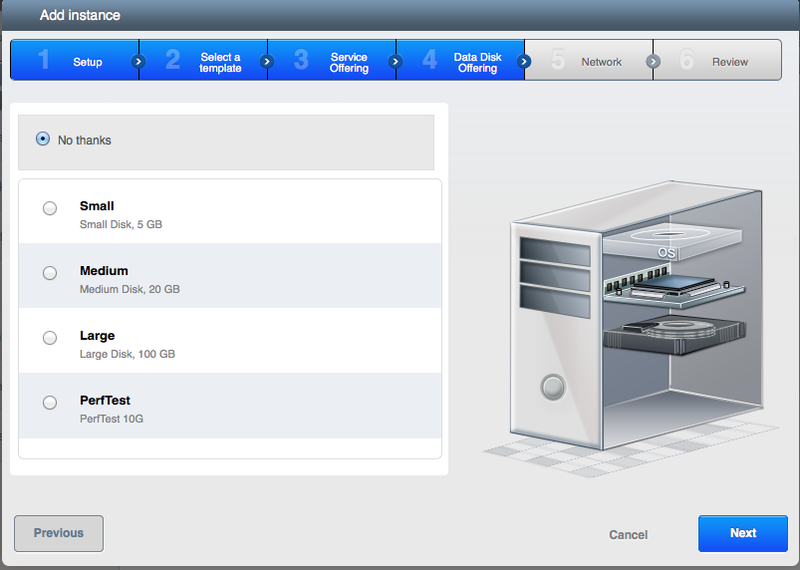 When you select a given VM, you see a page with all of its settings. Have a look at the screenshot below. This page shows the details of the VM. Different options are available when the VM is running or stopped etc. 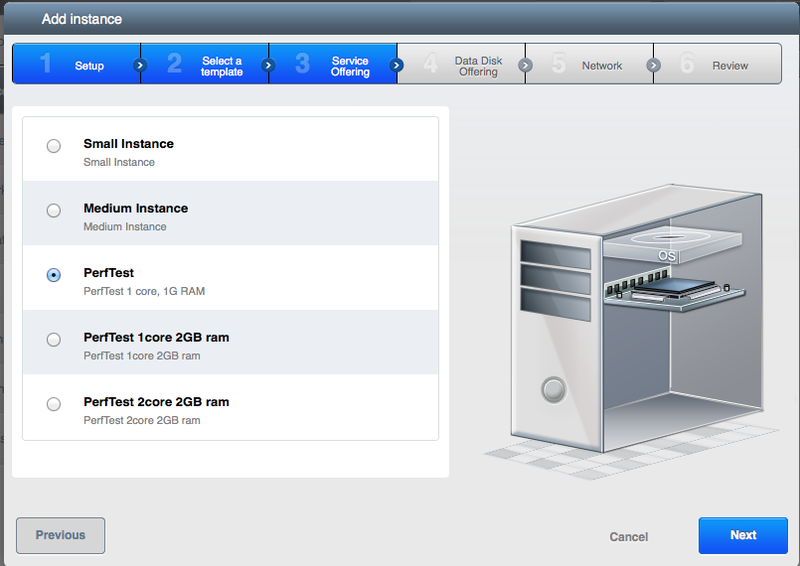 When not running, you can upgrade its service offering for example to a more powerful CPU or more RAM. When running, you can connect to the console to manage the VM through that. Working on the console (via a browser) looks like this. This is handy when you need to change the network options, or when a VM has a problem. 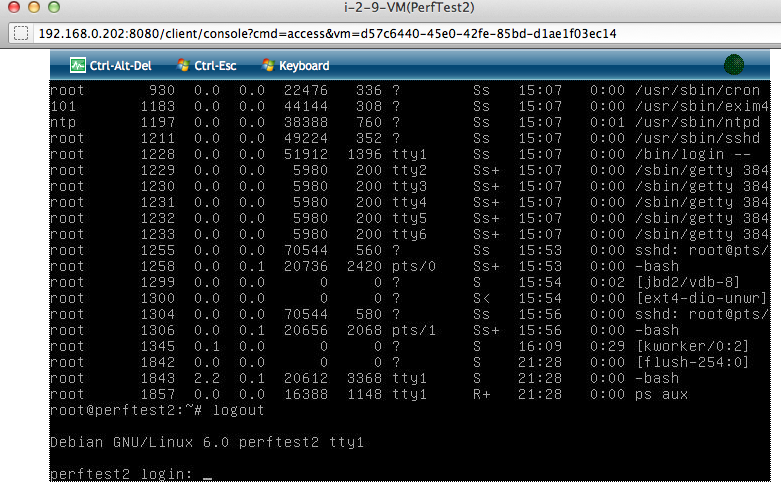 Otherwise, working via a SSH-shell should be easier. 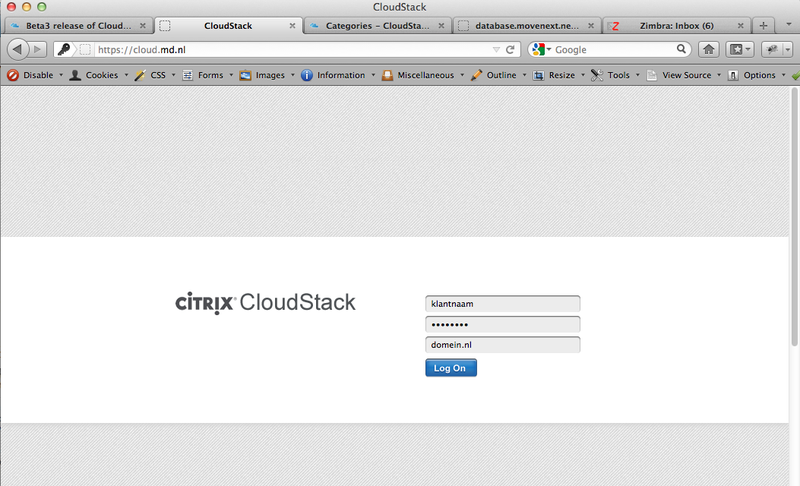 As you can see the CloudStack UI looks pretty nice! Not only is this a great product from a technical point of view, it also has a nice interface for users without a technical background. CloudStack 3.0 is currently in beta and should be released any time soon. 2. The ‘System’ menu on the left is renamed to ‘Infrastructure’, which indeed is a better name!